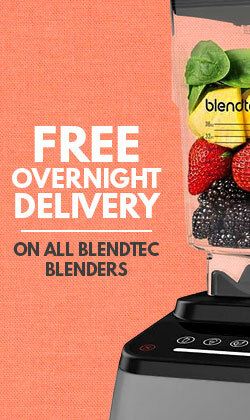 Free Genuine Replenishment Kit Included! ($49.99 Value) - Replenishment Kit Includes 3 Extra Sidebrushes, 3 Extra High Efficiency Filters and a Set of Aeroforce Extractors! 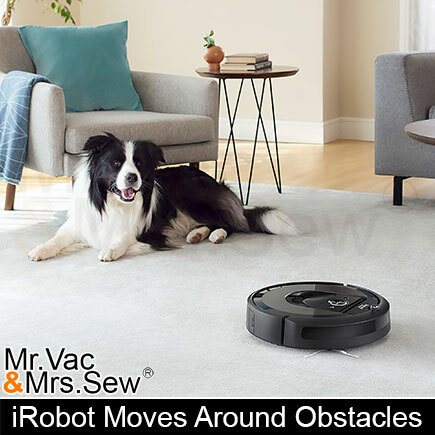 The Roomba i7+ robot vacuum uses a premium 3-Stage Cleaning System with Dual Multi-Surface Rubber Brushes and 10X suction to clean different floor surfaces throughout your home. Roomba i7+ learns, maps and adapts to each room, using Imprint Smart Mapping technology, letting you control which rooms are cleaned and when. 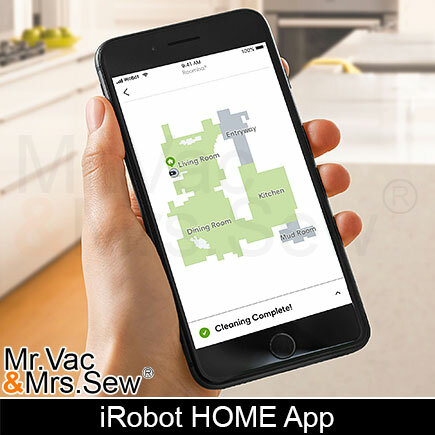 Cleaning power is always at your fingertips with the iRobot HOME App - you can control when, where, and how your robot cleans all from your smart phone. 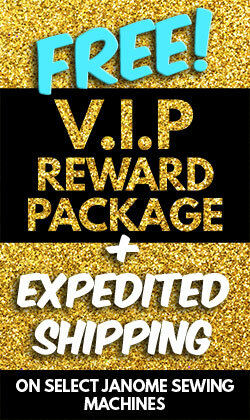 Free Genuine Replenishment Kit Included! The warranty of the iRobot Roomba i7+ Automatic Robotic Vacuum Cleaner is 1 Year Manufacturer's Limited Warranty On the Robot. 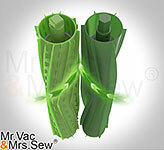 Mr Vac & Mrs Sew is an authorized iRobot dealer. 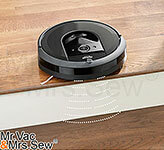 Roomba i7+ is the only Robot Vacuum that can be scheduled to clean specific rooms by name. When the i7+ first goes out to clean, it uses it's full range of sensors to map out your floor and the world around it. Roomba then uploads the information collected by its sensors to the iRobot HOME app to allow you to properly name each room. You can then direct the Roomba i7+ to where you want it to clean by voice commands using Alexa-enabled devices and the Google Assistant. 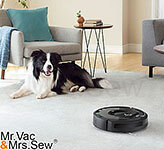 As an added bonus, the iRobot i7+ will automatically orient the vacuuming pattern to match the orientation of the room. 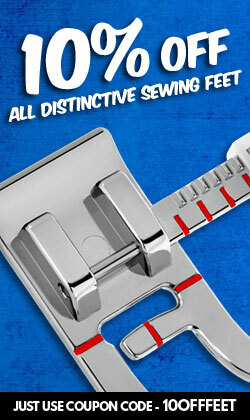 So you come home everyday to the perfect vacuumed lines in your carpet! To enjoy these features, enable Smart Maps in the iRobot HOME App. 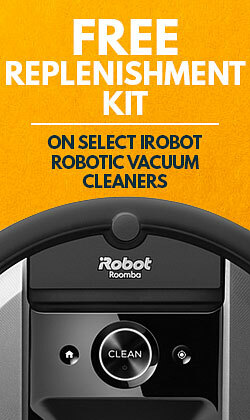 The Roomba i7+ Robot Vacuum with Clean Base Automatic Dirt Disposal takes convenience to a new level - automatically emptying into an enclosed, disposable bag that holds 30 robot bins, so you don’t have to think about vacuuming for weeks at a time. 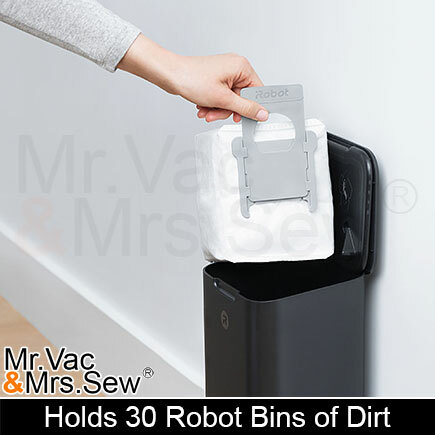 Clean Base is designed to hold 30 robot bins of dirt and debris. 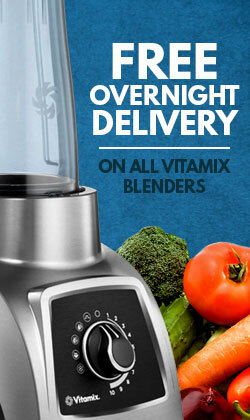 For some households, this might be one month, for others it could be longer. 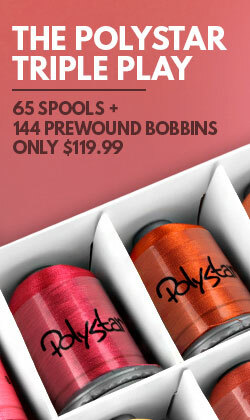 Results vary based on floor surfaces, whether or not you have pets, etc. Once the bag is full, you will be notified via the iRobot HOME App and you can simply remove it and replace it with a new one. 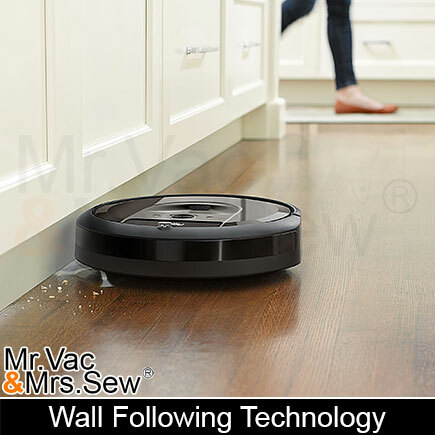 The i7+ easily moves and cleans around obstacles, under and around couches, and along walls ensuring a thorough cleaning. 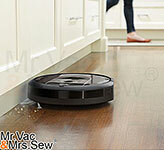 The molded, soft-touch bumper cushions the contact between Roomba and furniture, walls and other objects. Light-Touch Bumper Technology accurately discerns soft barriers from solid barriers, allowing Roomba to go under curtains, bed skirts and couch skirts. Because the i7+ cleans under beds, couches, and other hard-to-reach areas, it actually vacuums more of the floor than a standard upright. Removing loose pet hair and dust bunnies that would otherwise go unnoticed. 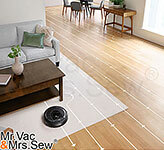 Roomba i7+ builds a map of the area each time it starts a new cleaning job. After cleaning the same space a few times, Roomba i7+ will produce a Smart Map that is pre-segmented into different spaces or rooms. 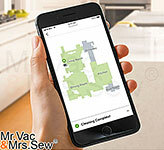 This map can be customized in the iRobot HOME App. You can merge, split and label rooms as you see fit. After that, you can schedule the Roomba i7+ to clean certain rooms at certain times, or have the robot clean an entire level of your home. The Roomba i7+ can remember up to 10 unique floor plans, so you can carry the robot to a different floor or a different home. As long at the robot has mapped the space, it will recognize its location and clean as directed. Dirt and dust can't hide from the 3-Stage Cleaning System. 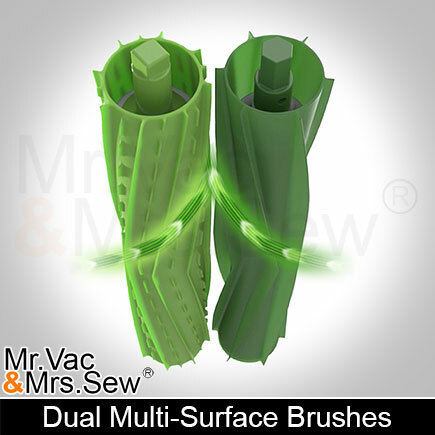 Dual Multi-Surface Brushes, a specially designed Edge-Sweeping Brush, and suction, attack everything from small particles to large debris on your carpets and hard floors. The High-Efficiency Filter locks in and captures 99% of cat and dog allergens, allowing allergy sufferers to breathe easy. 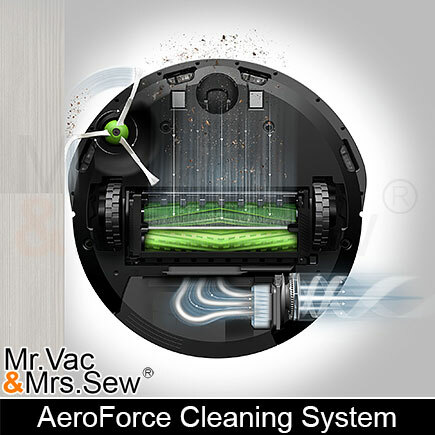 And when compared to the old 600 Series Aerovac system, the i7+ provides 10x the suction power, giving you the best suction to clean your house with! 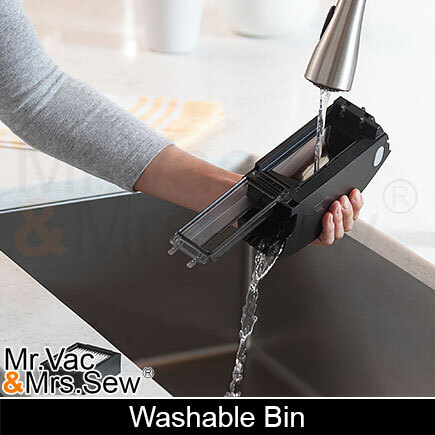 New to the i-Series, the vacuum bins are now washable! 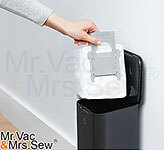 Previous generations of Roomba vacuums had the suction motor located inside of the vacuum bin, making it impossible to wash out the bin. iRobot's engineers have now relocated the suction motor to the inside of the main unit instead of the bin, removing any chance of getting the motor wet while cleaning the bin! Although the bin is washable, it is not Dishwasher safe. 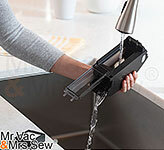 The washable bin should be rinsed by hand using warm water. Important: Be sure to remove the filter before rinsing the bin and allow the bin to dry completely before reinstalling the filter. 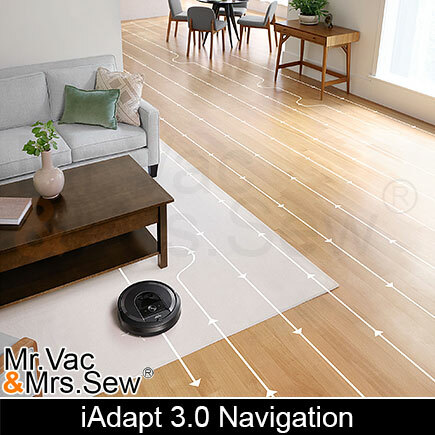 iAdapt Navigation uses a full suite of intelligent sensors to guide the robot under and around furniture. 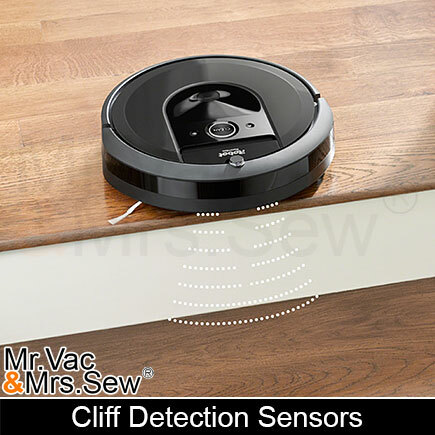 Cliff Detect sensors prevent the robot from falling down stairs or tumbling over drop-offs. Like a small dirt detective, working for you. 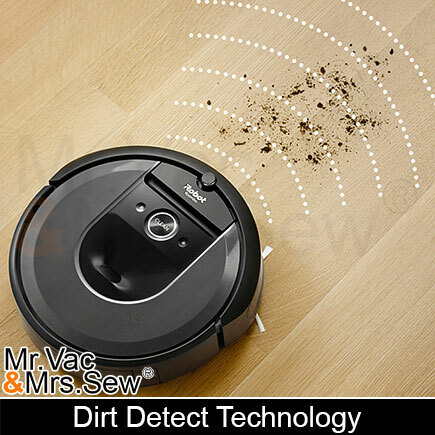 Roomba Robots remove dirt from high traffic spots of your home using Dirt Detect Technology. Sensors recognize areas that need more attention and prompt the robot to clean them more thoroughly. 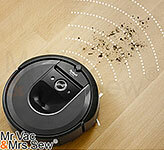 Roomba knows which areas to clean and those to avoid. Virtual wall lighthouses confine Roomba in one room until it is clean and then lets it move into the next room, ensuring the robot methodically cleans multiple rooms. 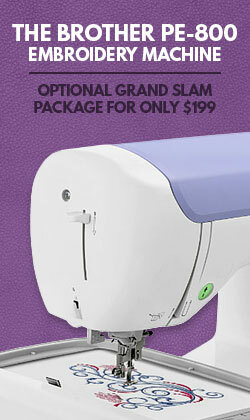 They can be also used as virtual walls to block off certain areas. The warranty of the IRobot Roomba i7 Automatic Robotic Vacuum Cleaner is 1 Year Manufacturer's Limited Warranty On the Robot. 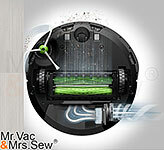 Mr Vac & Mrs Sew is an authorized iRobot dealer. 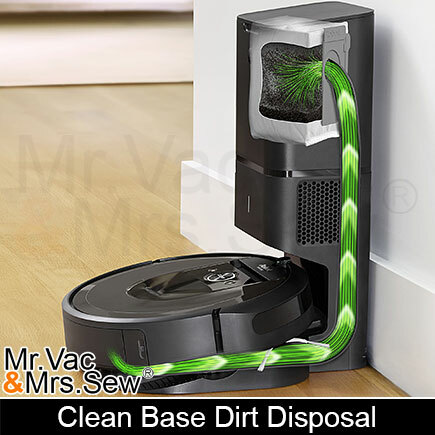 This vacuum is so helpful and And does what it intended to do, I recommend this machine for all those who like tech and easier for vacuuming with almost no human interaction, thank you Mr vac and mrs sew For helping me in getting this machine financedAnd a big thank you for the replenishment kit.